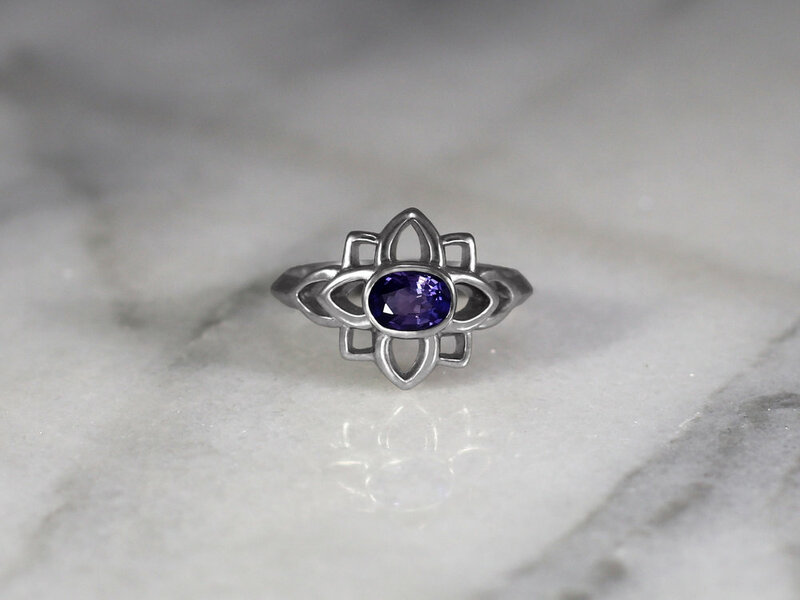 Nina's one-of-a-kind engagement ring is inspired by the rosette, a widely used ancient ornament that is characterized by a circular, often floral design. At its heart lies a deep .75 carat, oval cut sapphire. The surrounding gold is finished with a lustrous icy-white, satin texture.